South Africa is home to some of the world’s finest and most breathtaking beaches. Starting from the pristine costal stretch of sand in Cape Vidal, KwaZulu-Natal to the famous Wild Coast, Eastern Cape, there’s no doubt that travelers have plenty of choices to select from. In terms of numbers, the Western Cape is hands down a winning spot with tens of coastal shores just waiting to be explored. Whether you’re hunting for the ultimate surfing destination or you’d rather just admire the serenity, South Africa will surely exceed your expectations with its plethora of seaside locations. Also known as a harbor town, and really close to the Strand, Gordon’s Bay is located roughly 50 km from the city of Cape Town, in close proximity of False Bay. Named after a Dutch explorer in the 18th century, the shoreline comprises a traditional village that overlooks the slopes of Hottentots-Holland Mountain. Perfect for families who want to have a good time, Gordon’s Bay features several great bistros and hotels if you’re looking to accommodate in the area. Travelers hunting for a bit of entertainment should check out Bikini Beach, a coastline hosted by Gordon’s Bay and a party place for students from several universities in Cape Town. 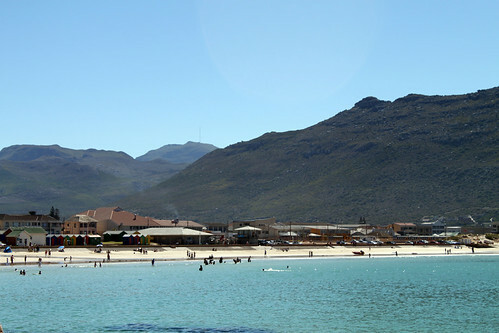 Unlike other beach locations in South Africa, The Strand is a coastal resort nested between False Bay and the Hottentots Holland Mountains. Within the Strand we have Melkbaai Beach, one of the safest and most soothing beach locations in the country. The surrounding area is packed with engaging activities travelers will surely adore. Harmony Park, the mini-golf facilities, the water sports, and ultimately the people populating the Strand are everything you need to have a whale of a time with your loved ones. One of the finest attractions in the area is the Olympic-sized covered pool; opened all year round, this place is a paradise for swim lovers eager for some exercise. 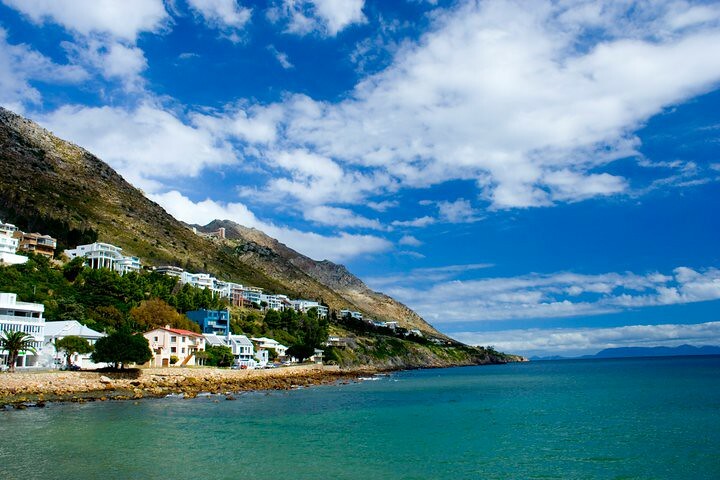 The coastal town of Fish Hoek is home to holiday makers and retired people alike. Similar to a vacation town, the place is mostly popular for its signature beach. Spread on 1.5 km and rather flat, the coastline is ideal for swimmers during the peak summer season. Voyageurs fond of adventurous activities like surfing, wind surfing, boogie boarding, and kayaking will find Fish Hoek an ideal travel spot. There are plenty of playgrounds for kids too nearby, as well as numerous fine restaurants and coffee houses. Are you ready for some unforgettable experiences? Fish Hoek is a go-to vacation spot for vacationers around the world looking to try out a new type of beach in South Africa. Boulders Beach is included in the Table Mountain National Park, and it’s mostly famous for its colony of sizeable penguins. These comical and cute birds wonder around the shores with no fear that travelers might come in their way. Don’t be surprised if you notice that the penguins stare at you; they have that habit, yet they’re harmless. Boulders is an excellent swimming spot mainly because the waters are calm and crystal-clear. Kids in particular are extremely fond of this place, and that’s probably because of the penguins. Have the time of life relaxing into the sun, and give Boulders Beach a chance to amaze you with its soothing scenery and beautiful surroundings. The pristine white sands, stunning setting, and mesmerizing blue waters make Camps Bay Beach one of the best in South Africa. Awarded the Blue Flag status, the coastline is popular worldwide for its wide variety of activities, busy restaurants, and amalgam of international tourists. Camps Bay is packed with palm trees, coffee shops, and boutiques thus it’s literally impossible to get bored on the premises. During the summer days, the beach offers one of the best sunset experiences in all South Africa, so it cannot be missed out. Lively, fun, and interactive, Camps Bay hosts various tournaments and events during the summer months meant for voyageurs and adventurers seeking to have the time of their life. South Africa boasts with hundreds of beaches and unspoiled coastal spots, so it’s up to you to scatter the counter in search for the best holiday spot. Whether you’re traveling with the kids and you want to relax as much as possible, or you’re hunting for the ultimate surf spot, the beaches of South Africa will surely manage to exceed your expectations.